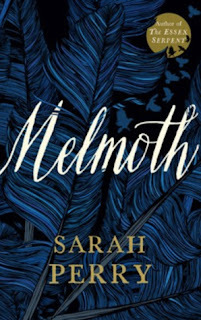 Having thoroughly enjoyed Sarah Perry’s The Essex Serpent, I was looking forward to reading Melmoth. And, once again, the writing is beautiful, and the issues Perry raises of redemption, conscience, guilt and forgiveness are profound and serious. But somehow, the whole thing doesn’t hang together, and the lightness of touch that made the earlier novel such a delight is missing. The basis for Perry’s Gothic tale is the myth of Melmoth. According to legend, she was one of the women who went to Christ’s tomb, but she denied that he had risen from the dead and was condemned thereafter to walk alone through the earth for eternity, seen only by those with sins on their conscience as she begged them to join her and ease her loneliness. The central character is Helen Franklin, an Englishwoman living as invisibly as she can in Prague to atone for something, though it takes a long while before we discover what. She is given a strange manuscript which tells of those who, over several centuries, have been haunted by Melmoth, and what it is they have done. And, as Helen reads, she too fears that she is being followed and haunted by a mysterious figure. She hears footsteps following her as she goes about wintry, evocative Prague and reads the stories of those whose crimes have brought them to the notice of Melmoth. The individual stories are well constructed and told, whether we are taken back to the 16th Century in England, Cairo in the 1930s and the earlier atrocities against Armenians living in the Ottoman Empire or to Prague under Nazi occupation. There’s plenty of Gothic horror, but the novel failed, for me, in its characterisation. Helen is not appealing, nor are those about whom she reads and it becomes more and more difficult to feel any empathy for or even connection with the characters. And in the end, the air of prevailing gloom becomes almost too much to bear.